Thomas Piketty's blockbuster 2014 book, Capital in the 21st Century, may prove to be a game-changer, one of those rare books such as Friedan's The Feminine Mystique, which helped spark a new feminist movement. The world-wide flood of commentary suggests Piketty's book has already opened a new conversation not only about inequality, but about class, capitalism and social justice. Inherited wealth is at the heart of Capital in the 21st Century, and Derber shows how the 'disinherited majority' is likely to affect the future. 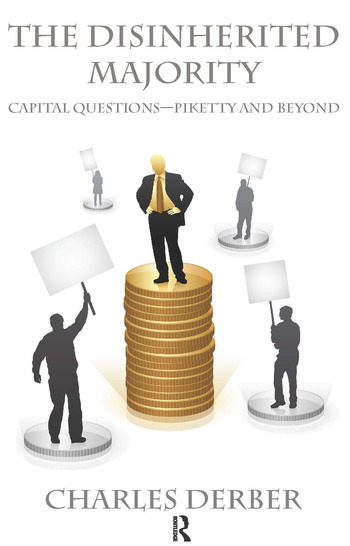 In his new book, Derber shows that there are actually 'two Pikettys' - different voices of the author on the 1%, inheritance, and capitalism itself - that create a fascinating and unacknowledged hidden debate and conversation within the book. Drawing on Piketty's discussion, Derber raises fourteen 'capital questions' - with new perspectives on caste and class warfare, the Great Recession, the decline of the American Dream and the Occupy movement - that can guide a new conversation about the past and future of capitalism. The Disinherited Majority will catalyse a conversation beyond Piketty already emerging in colleges and universities, town halls, coffee shops, workplaces and political parties and social movements; an essential class for all Americans.